Click HERE or listen below to another monthly promo mix of the 7 year club party. 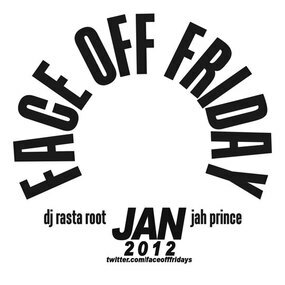 This is the dancehall and reggae selections that were mixed by JahPrince and physical cds passed out to the patrons of the now 7-year monthly club party in Atlanta called ‘Face Off’. The hip hop selections that compliment this were mixed by DJ Rasta Root. Jah Prince spins monthly (2nd Saturdays), Caribbean, African and American music at the Vibes Night Club in Decatur, GA and every (1st Wednesday), at the HOBI POWERSHOOT & Industry Mixer held at the House of Blended Ink. Jah Prince was just added to the monthly 3rd Thursday at Luxe Ultra Lounge in downtown Atlanta for ‘Splash in the City’, where cosmopolitan meets culture’.